Grow your own food to be self sufficient.Using self sufficient living tips can help eco-conscious individuals lessen their dependence on assistance in many ways even while they help the environment. Being self sufficient means being personally and independently sustainable for all of life’s basic needs: food, shelter, and clothing. Self sufficient individuals do not need to be dependent on outside resources for their basic needs and they are capable of attending to a wide variety of necessary tasks on their own. This can lower an individual’s impact on natural resources and in turn improve the conditions of their local environment. All of humankind at one point was individually self sufficient. Eventually, individuals grouped together into cooperative communities, and specialization of skills and resources began to develop. Today’s society is incredibly specialized and many people depend on the welfare and productivity of thousands of different sources to uphold their quality of life. By regaining some measure of self sufficiency, individuals can take better control of how they use their resources and how they impact the environment. Emergency Preparedness: Individuals who can grow their own food, attend to minor repairs, and have a self sufficient lifestyle will be less impacted in case of local or regional emergencies that may limit resources. Skill Development: Becoming self sufficient requires the development of many useful skills and sharpens mental processes. This is also a great way to teach children to be independent and to offer them practical skills they can use throughout their lives. Economic Advantages: A self sufficient home can produce the bulk of its energy, food supplies, and other necessities far less expensively than purchasing materials and resources while paying for the labor of others. Personal Satisfaction: Developing low impact living through self sufficiency can bring about a deep sense of personal accomplishment and satisfaction, creating a positive, healthy attitude. Growing a garden and eating more produce you have personally harvested. 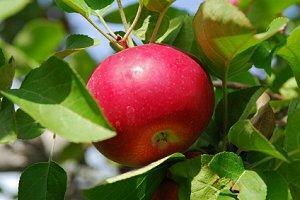 Planting fruit trees for a personal orchard. Building a compost bin to recycle household waste to use as mulch and fertilizer for the garden, flowerbeds, and lawn. Recycling leaves and grass clippings as mulch or part of compost. Saving seeds from the previous year’s harvest to grow next year’s garden. 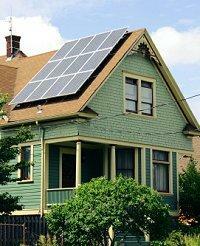 Solar panels provide abundant energy. Installing solar panels with batteries to provide abundant household energy. Adding skylights and large, energy efficient windows to take advantage of natural light. Choosing a solar water heater or solar oven to replace inefficient appliances. Learning basic appliance, car, and home repairs and maintenance to save time and money to keep items in good repair for a longer time period. Recycling paper products for reuse at home as scrap paper, homemade paper, packaging materials, pet bedding, and more. Growing indoor herbs for fresh recipe seasoning. Opting for reusable cloth diapers that can be handed down to multiple children. Learning to repair and sew new clothing and linens. Learning basic culinary preservation skills such as canning or making fruit preserves to support a larger harvest. Choosing to walk or bike to work or on errands instead of using a motorized vehicle. Choosing a low flow toilet or composting toilet to conserve water. Choose energy efficient light bulbs and appliances to minimize the need for electricity. Buying products locally to minimize the resources necessary to bring them to market and to support others interested in self sufficiency. Starting your own business to become economically self sufficient instead of relying on an employer. Choosing self sufficient recreation such as camping, hiking, or other low impact activities that do not require extensive travel or elaborate assistance to enjoy. These are just a few ideas that are easy to implement in most homes and can help individuals develop their own self sufficient living style.